note: Kwik3 supports Adobe Photoshop CS5, CS5, CC and CC2014, CC2015, CC2015.5 but does not include new features of Kwik4. A Pro license purchased is eligible both for Kwik3 and Kwik4 but supported features are different. You don’t need two licenses, one for Kwik3 and another for Kwik4. One license covers kwik3 and kwik4. You can install Kwik up to 2 machines. NEW:lua template files for publishing. NEW:Project Properties > Publish > Update template. 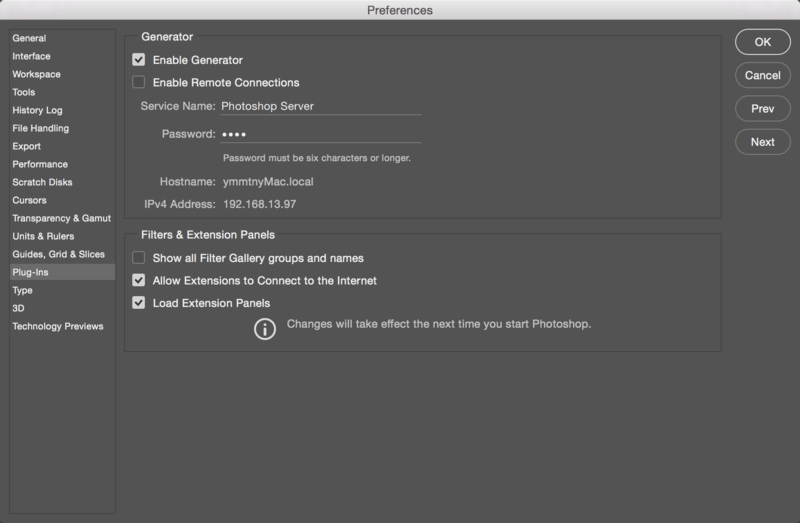 For signing issue, please check the photoshop preference, plugin generator and allow internet connection. if not work, open Terminal app and copy and paste the following line and hit Enter. Then restart Photoshop. Kwik3 and Kwik4 can co-exist. A Kwik license purchased is eligible both for Kwik3 and Kwik4 but supported features are different. You don’t need two licesenes, one for Kwik3 and another for Kwik4. One license covers kwik3 and kwik4. You can install Kwik up to 2 machines. -page_curl is disabled from default. if you want to use page curl. So Kwik4 is now CC, no more CS6 compatibility? Kwik4 does not support CS6. Kwik4 needs Adobe CC 2014 above. Kwik3 on CS6 depends on Flash technology and hard to continue the support. FIX: publishing error with animation. FIX: A injected bug with comic reader. Layer name starts with “-” produces an error. Modified: double click to insert the same action in button/action window. -FIX: component editing: the active layer was used instead of the layer of the replacment for edit. -FIX:Layer Properites share, single selection. -Modify:Progress window to be cancelled easily. -FIX: There was playAudio for readme audio file. Removed the playAudio in page_audio_readme_ because the saySentence is called in sync_multi. -FIX: sync audio&text updated again. -Modification: audio file names are not converted to lower case letters. New installler scripts by Kwiksher instead of ZXPInstaller. 4) FIX “kwk” prefix as shared asset for kwik3’s projects. You don’t need to set again in layer properties. Kwik4’s shared assets is internally handled from ‘shared’ tag in .kwk file. So it needed to set shared asset checkbox in layer properties of Kwik4 again if the project was imported from Kwik3. Modification filenames are no longer converted to lowercase for external lib. note readme’s each audio for one word read out are lowercase only as same as Kwik3. FIX end app at suspend was not handled correctly. It was called anytime. FIX: button action was not fired as fast as Kwik3 when repeating. FIX: isIAP check injected a bug not to publish audio or buttons etc. FIX: the degrade bug in 0705. sync text panel failed to set an audio. Modify: pause at complete is now halt at end. It stops the animation for a second and start it again. FIX: Animations and Multi Lingual Sample were missing .psd files etc. FIX: @4x image was overwritten by @1x with Ultimate Config case.